Prince George, B.C. 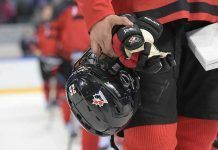 – A sixth member of the Prince George Cougars is heading to the American Hockey League. Earlier today the AHL’s San Antonio Rampage (Colorado’s AHL affiliate) announced that 1998-born defenceman Josh Anderson has joined them on an Amateur Tryout contract. 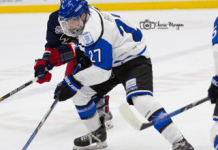 Originally selected third overall by the Cougars in the 2013 WHL Bantam Draft, Anderson has just completed his third full season in the WHL. In 2016-17 Anderson set new season highs for goals (three), points (11), plus-minus (+13) and games played (69). 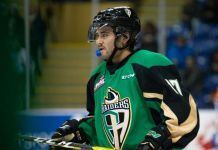 In 152 career WHL games Anderson has registered six goals, 15 assists and 215 penalty minutes to go with an even plus-minus rating. He was selected by the Avs in the third round (71st overall) of the 2016 NHL Draft. Anderson joins a long list of other Prince George Cougars who are currently in the American Hockey League: Brendan Guhle (Rochester Americans), Jansen Harkins (Manitoba Moose), Jesse Gabrielle (Providence Bruins), Colby McAuley (San Jose Barracuda) and Radovan Bondra (Rockford IceHogs). The San Antonio Rampage are next in action tomorrow night when they face the Texas Stars on the road at 5:30 PM local time.